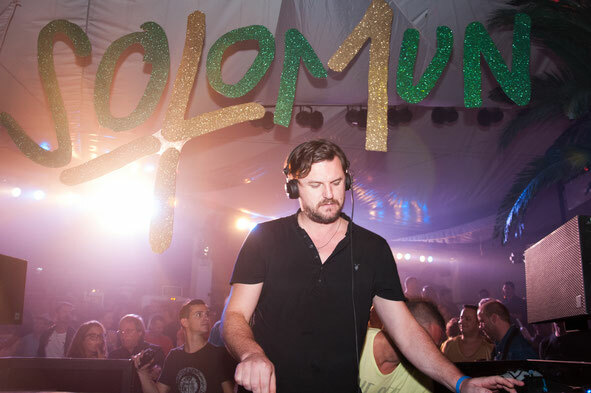 Last year’s inaugural Solomun +1 night at Pacha, Ibiza saw the Diynamic boss headline with just one of his selected peers playing alongside him, including the likes of Âme, Dennis Ferrer and Tensnake. Now, it makes a return in 2014 and continues with last year’s successful format. The DJ booth at Pacha Ibiza gets moved into the middle of the dancefloor during Solomun’s residency, adding extra atmosphere at each party, which proved a success with the club’s regulars. This year, things kick off on 25 May with Pampa boss DJ Koze. From here, the regular events start on 6 June with DirtyBird boss Claude VonStroke, then play on every week after that. Seeing out June will be Mobilee boss Anja Schneider, Diynamic’s H.O.S.H. and Innervisions star Dixon, as well as one special guest. July will be the month to catch Pete Tong, Miss Kittin and Adriatique then DJ Koze again, whilst in August Miss Kittin, andhim, Radio 1’s Heidi and more TBC will all play. During September, Pete Tong returns, as do Adriatique and Miss Kittin with Innervisions duo Âme also stopping by. Keep checking online for more info.